General optimism over progress in US budget talks is expected to keep major markets in the black for Wednesday’s trading session. House Speaker John Boehner’s willingness to increase tax rates for the wealthiest Americans was described as “progress” by the White House.In response, President Barack Obama said he would match the tax increases with deep spending cuts, particularly to Social Security. News of the tentative budget deal boosted all major indices across the globe. In Russia, the RTS rose 1.36% to 1,511.43 on Tuesday and the MICEX went up 0.82% to 1,481.54. 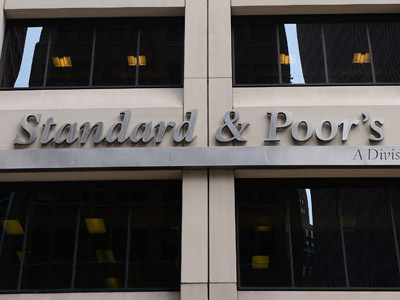 On Wall Street, stocks climbed after Standard and Poor's boosted Greece's credit rating by several notches. "It's a long slow process, but investors are happy to see that progress is being made in Europe," Evercore Managing Director Doug DePietro told CNN Money. 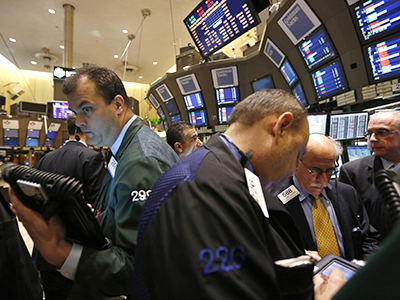 The Dow Jones Industrial Average and the S&P 500 closed up 0.9% and 1.1%, respectively. 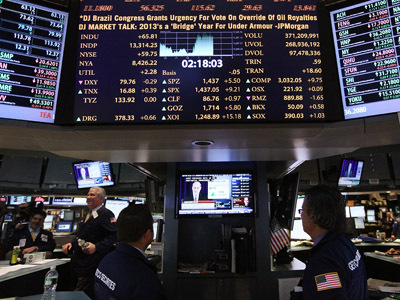 European markets also finished higher on Tuesday. The DAX in Germany added 0.64%, while London's FTSE 100 gained 0.40% and France's CAC 40 was up 0.29%. Japanese shares surged on Wednesday as the Nikkei 225 gained 1.8% to end at 10,099.88 – the first time the benchmark has risen above 10,000 in more than eight months.Australia's S&P/ASX 200 added 0.5% to close at 4,627.10. Hong Kong's Hang Seng index was up 0.7% to 22,652.75. Benchmarks in New Zealand, Taiwan and Malaysia also rose, while stocks in Singapore and mainland China fell. South Korean markets were closed for a public holiday during Wednesday's presidential election. No strong new market movers are expected for Wednesday. 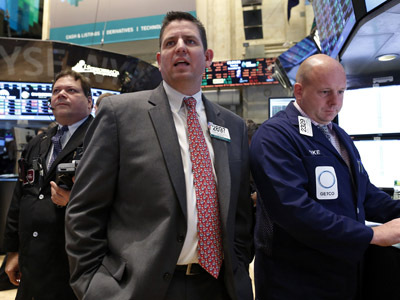 “We do not expect any changes in market conjuncture. No news from the West and coming New Year holidays will be holding back the activity of participants,” Veles Capital told RT in an email. The ‘fiscal cliff’ refers to a series of austerity measures and tax hikes that are set to come into effect if White House and the US Congress fail to approve a budget that tackles the country’s sky-high national debt and budget deficit.